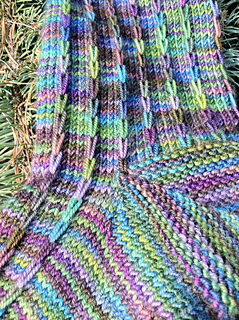 The long slipped stitches in this pattern help break up pooling in hand dyed yarns, and create a faux-ribbed effect. 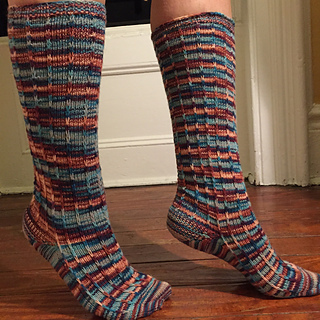 Pattern directions are written for using magic loop, toe up, with a star toe, mini-gussett, and garter stitch short row heel. 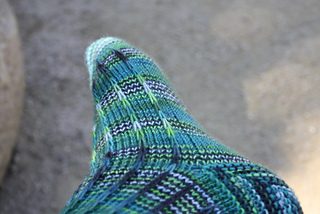 S, M, L finished foot circumference 6.6, 7.5, 8.4 inches unstretched. 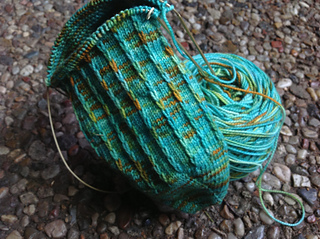 Choose the size that is slightly smaller than your actual measurement to allow some negative ease. 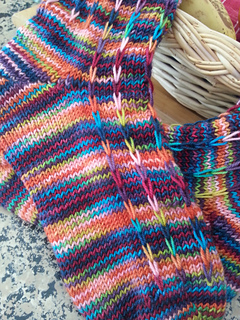 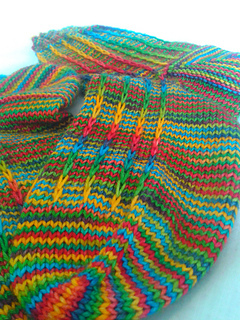 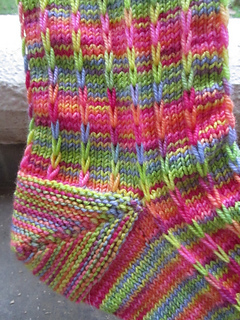 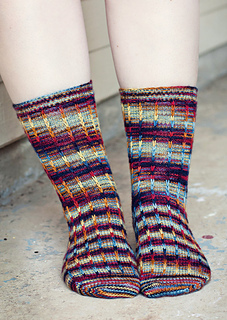 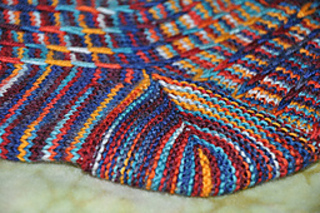 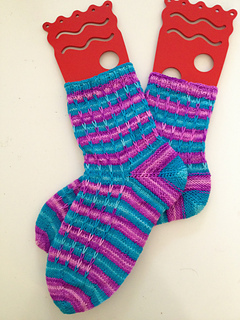 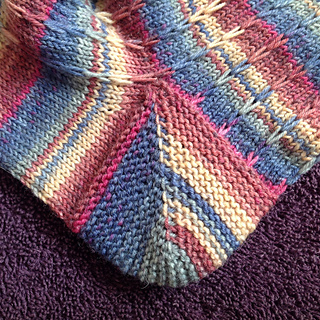 It is recommended to knit the socks to a finished length of approxamately ½ inch shorter than actual foot measurement.